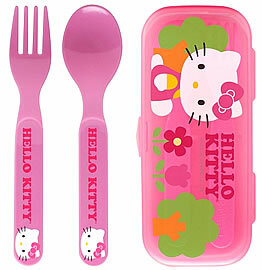 3-piece set includes sturdy plastic spoon and fork with easy snap open/close case that's great for travel and storage. Dishwasher safe (top rack). BPA free. © Copyright 2004-2017 PlatesPlus for Kids, Inc.